I’ll admit, I’m not the hugest Dynasty Warriors fan on the planet. Sure, my wife and I logged a ton of co-op hours into the Wii U version of Hyrule Warriors, but that’s about as deep as I’ve gotten into the series before now; and that’s admittedly not very deep at all considering we sunk a lot of time into a spinoff title. I do, however, understand that the series has a very dedicated fan following in the west. 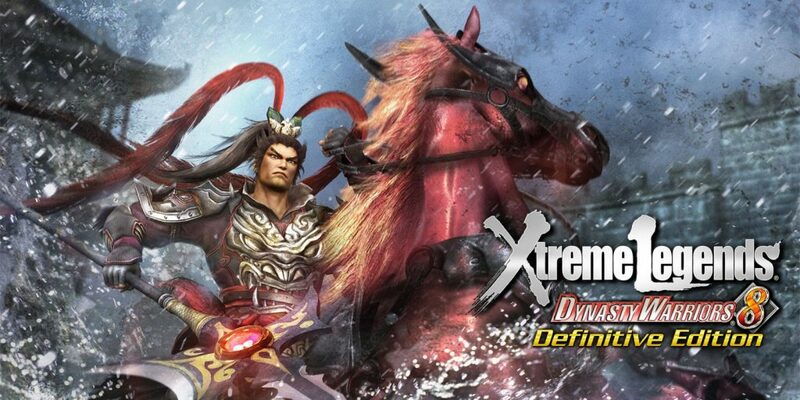 After spending some time with Dynasty Warriors 8: Xtreme Legends Definitive Edition on my Switch, I can understand why the long running series has such a following overseas. Conquer your enemies in style! Enemy grunts are but leaves in the wind against your generals and their might blades! 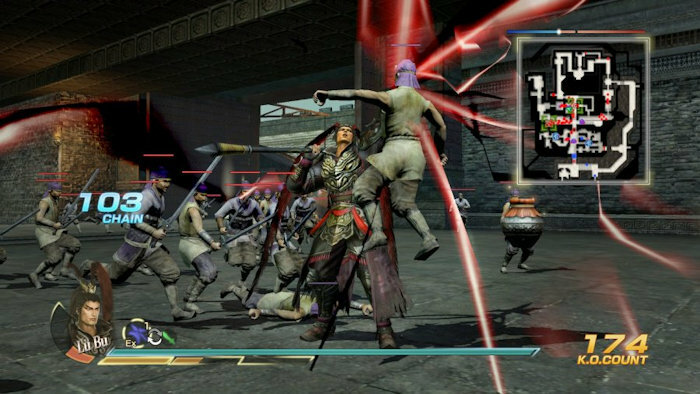 Dynasty Warriors, at its core, is a beat-em-up (or a “Musou” game for the initiated, as the games are called so overseas). A massive beat-em-up where your heroes take on hundreds of grunts at once, mowing them down with relative ease while you make your way through large arena style battlegrounds to take down your targets. Usually the mission consists of taking down one or more enemy generals, but there tend to be other objectives along the way to shake things up a bit. While the spinoffs focus their narratives on their respective franchises (i.e. 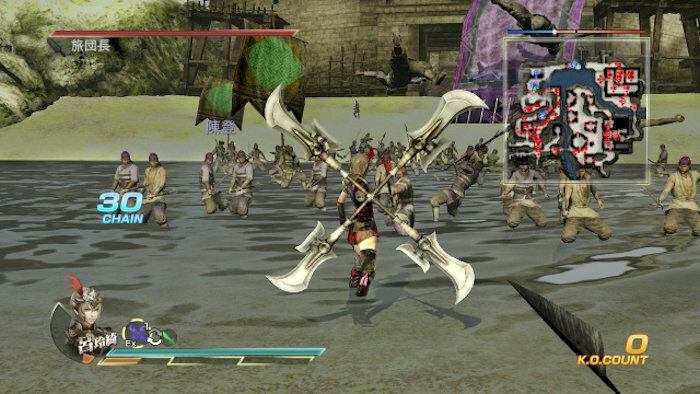 Hyrule Warriors, Fire Emblem Warriors, and Dynasty Warriors Gundam), the core Dynasty Warriors games focus on ancient China – the Three Kingdoms era, to be exact – where civil war over control of the various territories was rampant. 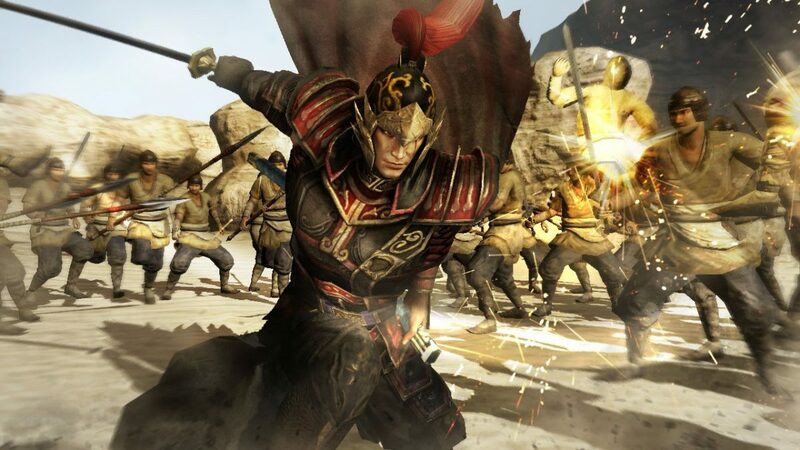 This makes the Dynasty Warrior series ripe for plenty of battles and stories to tell. It’s probably not the best idea to boss Lu Bu around, especially when you’re 1/3 his size. Dynasty Warriors 8: Xtreme Legends Definitive Edition definitely lives up to its name as it is filled to the brim with content. Much like the history it draws inspiration from, this title offers a whopping 80 generals to play as. On top of all this, the title includes all of the previously released DLC from the many of the previous ports of Dynasty Warriors 8. All told, there’s close to a couple hundred dollars worth of DLC included in this package. That’s a pretty generous offer, if you ask me. Unfortunately, this excellent offering is only available digitally in the west with no physical copy on the table in the near future. If you’re going to download this game be sure to have a good micro SD card on hand, as this game takes up a hefty 15.8 GB of storage space. I actually had to go out and grab a bigger card to be able to fit the game onto my Switch! Deadly Melee Weapons? Check. Silly Costumes? Check. Dynasty Warriors 8: Xtreme Legends Definitive Edition includes hundreds of DLC items in one convenient package! 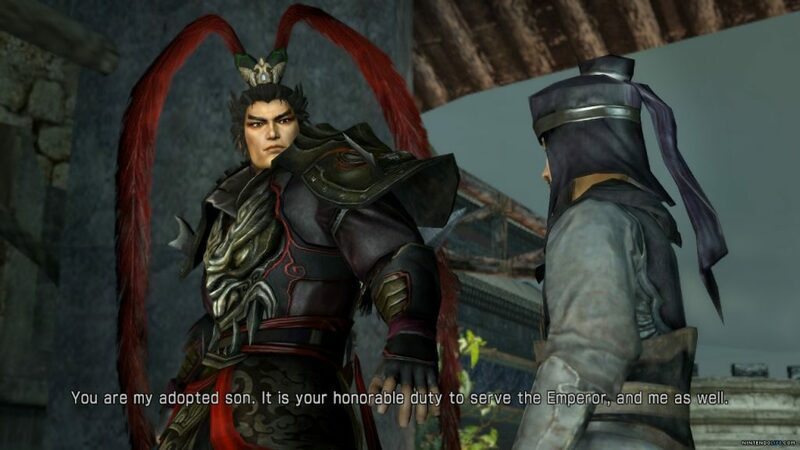 For being a Switch port of a previously released PS3/PS4/Xbox One/PC game, Dynasty Warriors runs surprisingly well on the Switch. Despite being noticeably underpowered compared to the other consoles of this generation, Dynasty Warriors 8: Xtreme Legends Definitive Edition runs at a fairly consistent frame rate. 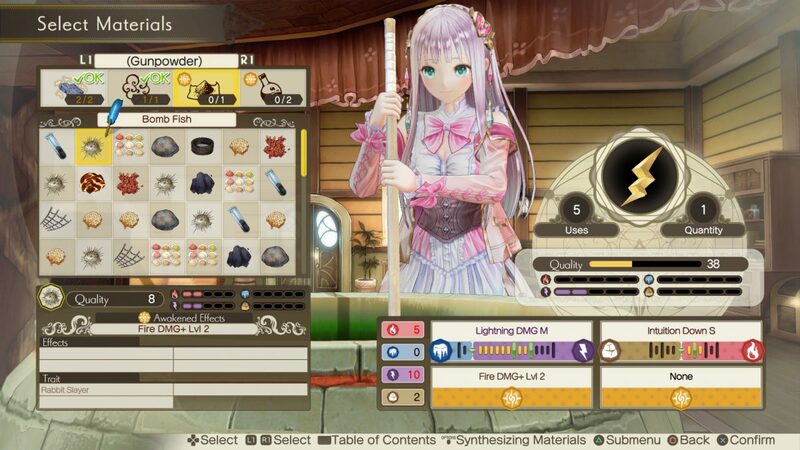 Of course, this comes at the cost of lower resolution textures, foregoing some graphical effects, and dips in frame rate, the game does a job of maintaining its performance even in co-op play. During my time with the game, it tended to hover around the 30 FPS range, with some occasional spikes near 60 during the quieter moments and dips to the low 20’s when things got chaotic. I did find myself yearning for higher image clarity and details while playing, but taking into consideration the portability and hardware limitations, the Switch handles the task pretty well. The sound design is on point too, with excellent musical work accompanying battles and some pretty decent voice work. You have the option of listening to either English or Japanese voice actors which both do a good job, though I’ll admit it’s strange listening to clearly Chinese characters not speak Chinese. Walk softly, carry a big…whatever that is. I don’t know what kind of weapon that is. All I know is I need one in my life. Playability and control is always important no matter the beat-em-up. After all, how else are you supposed to take down mobs of baddies if you can’t attack fast enough? The Switch control setup works great for this, and I had no issues with the controls and playability of the game. Controls were sharp and responsive, and there are a number of intuitive battle mechanics on tap to keep smashing down enemy armies enjoyable. For instance, your generals can have multiple weapons on hand. Each weapon has a different affinity attached to it, and using the right weapon against the right enemy deals more damage. Do enough damage against a general with the right affinity, and you can trigger a Storm Rush attack that does massive damage to them. Strategizing and using the right weapon is key to avoiding being overwhelmed in battle. 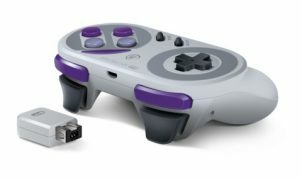 I did find myself more comfortable playing with a Pro Controller than the joycons, but that’s more personal taste than anything else. Nothing says “I love you” to an enemy quite like sending Force Lightning through their face. 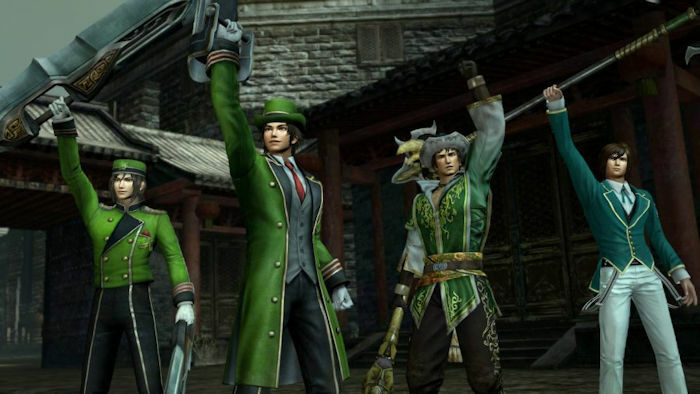 Aside from the primary story mode, Dynasty Warriors 8: Xtreme Legends Definitive Edition offers a host of other modes to sink your time into. Ambition Mode offers players a challenge to make your peasants build Tongquetai Tower and have Emperor Xian pay it a visit. In order to finance the project, you have to fight your way through three different battle modes. Skirmish battles to get materials, raid battles to increase your notoriety, and large-scale battles to recruit more partners. Upgrading your base offers access to more shops such as a food market, a trade shop, and more. You initially start your battles with 7 minutes on the timer, and killing enemies and generals yields more time to complete them. 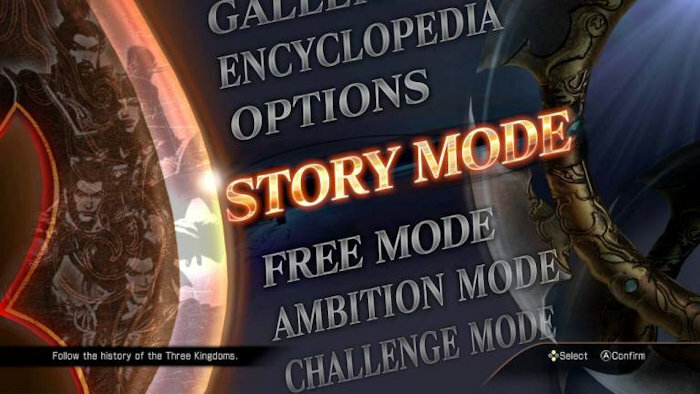 It’s a simple mix up to the standard story mode formula, but a fun one nonetheless. There is also the arcade like Challenge Mode offering special rewards like unique weapons for completing specific tasks, and free mode to play through battles with no story to get in your way – mash down enemies all you want! Overall, I did enjoy my time with Dynasty Warriors 8: Xtreme Legends Definitive Edition. 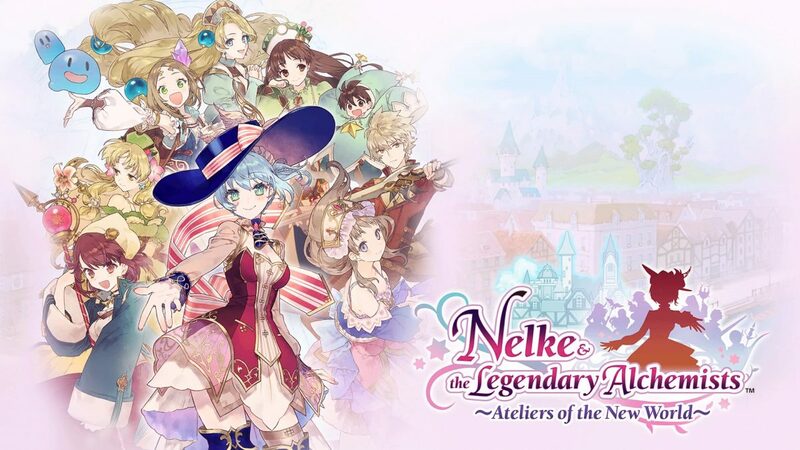 It may not be as graphically polished as its previous ports, and the lack of a physical copy may be a deal breaker for some players. However, considering the portability aspect and the sheer amount of content being offered at a nicely discounted price those small marks are easy to overlook. While Koei Tecmo seem to have missed the mark with Dynasty Warriors 9 based on the reception it has received so far by straying from the norm, Dynasty Warriors 8 is as classic a “Musou” title as you can get. I’d highly recommend getting in on this despite the lack of any physical release on the horizon. Just be sure you bring along plenty of storage space and spare time – you’ll need them. Full disclosure: This review is based on a review copy of Dynasty Warriors 8: Xtreme Legends Definitive Edition given to Hey Poor Player by the Publisher.